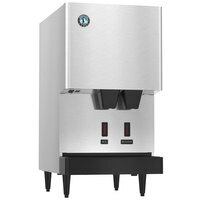 A combination ice machine is the perfect addition to any establishment that needs ice and water readily available for drink service! 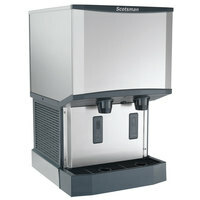 This type of ice dispenser keeps fresh ice and cold water stored in the same unit so you can maintain speedy drink service in your hospital, cafeteria, hotel, concession stand, or employee break room. 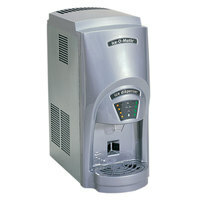 You'll find machines with either air or water cooled condensers, and you can also pick your unit based on its dispenser style. 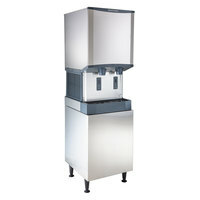 Whether you’re looking for an ice dispenser with a high ice yield, or you’re in need of a smaller unit with a lower ice yield, we’re sure to have the best ice dispenser for your low or high volume needs. 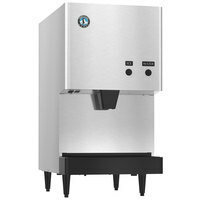 You can also choose your combination ice machine based on the type of ice it dispenses, depending on the type of foodservice establishment you’re operating. 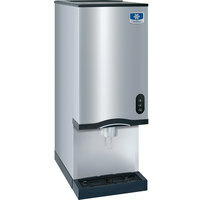 You’ll also be happy to find that a majority of our units are NSF Listed and feature special antimicrobial technologies that ensure uncontaminated water and ice is consistently dispensed. 31 7 - 12 Lb. 34 15 - 40 Lb. 32 45 - 110 Lb. 5 150 - 260 Lb. Good - This ice maker provides you with easy-to-chew ice and crisp, refreshing water while providing you with the opportunity to choose your own water filter. 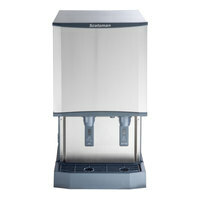 Choosing the C Pure AQUAKING10 10" filtration system gives you the clean, high quality water you need and at a lower cost than the comparable model with a built-in filter. Not only is the initial cost lower, but you'll save on replacement cartridges throughout the life of the machine, too! 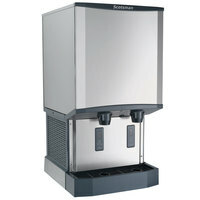 Follett 7CI100A-IW-CF-ST-00 7 Series 14 5/8" Air Cooled Chewblet Countertop Ice Maker and Water Dispenser with Filter - 7 lb. 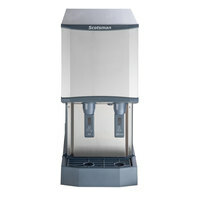 Best - This unit gives you the same easy-to-chew ice and crisp, refreshing water as the "Good" model but, for added convenience, also features a built-in water filter so that you don't have to worry about purchasing and installing a separate filtration system. 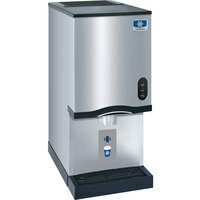 Follett 15FS100A-IW-CF-ST-00 15 Series 14 5/8" Air Cooled Chewblet Free Standing Ice Maker and Water Dispenser with Filter - 15 lb. Follett 15CI100A-IW-CF-ST-00 15 Series 14 5/8" Air Cooled Chewblet Countertop Ice Maker and Water Dispenser with Filter - 15 lb. 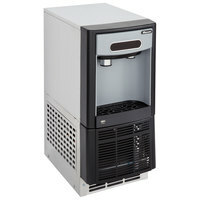 Follett 7UD100A-IW-CF-ST-00 7 Series ADA Height 14 5/8" Air Cooled Chewblet Undercounter Ice Maker and Water Dispenser with Filter - 7 lb. 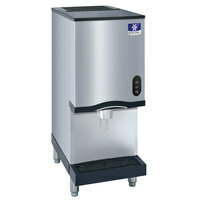 Follett 7UD100A-NW-NF-ST-00 7 Series ADA Height 14 5/8" Air Cooled Chewblet Undercounter Ice Maker and Dispenser - 7 lb. Good - This ice maker provides you with easy-to-chew ice while providing you with the opportunity to choose your own water filter. 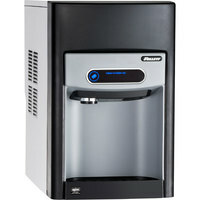 Choosing the C Pure AQUAKING10 10" filtration system gives you the clean, high quality water you need and at a lower cost than the comparable model with a built-in filter. Not only is the initial cost lower, but you'll save on replacement cartridges throughout the life of the machine, too! 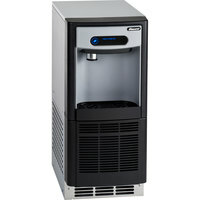 Follett 7UD100A-NW-CF-ST-00 7 Series ADA Height 14 5/8" Air Cooled Chewblet Undercounter Ice Maker and Dispenser with Filter - 7 lb. 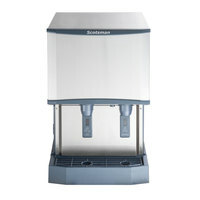 Best - This unit gives you the same easy-to-chew ice as the "Good" model but, for added convenience, also features a built-in water filter so that you don't have to worry about purchasing and installing a separate filtration system. 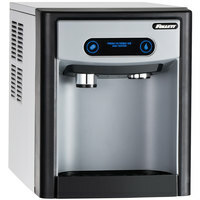 Follett 7CI100A-NW-NF-ST-00 7 Series 14 5/8" Air Cooled Chewblet Countertop Ice Maker and Dispenser - 7 lb. 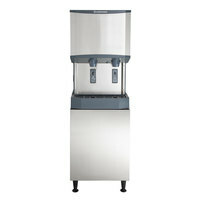 Follett 7CI100A-NW-CF-ST-00 7 Series 14 5/8" Air Cooled Chewblet Countertop Ice Maker and Dispenser with Filter - 7 lb. 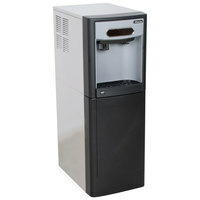 Follett 7FS100A-IW-CF-ST-00 7 Series 14 5/8" Air Cooled Chewblet Free Standing Ice Maker and Water Dispenser with Filter - 7 lb. 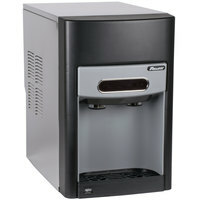 Follett 7UC100A-IW-CF-ST-00 7 Series 14 5/8" Air Cooled Chewblet Undercounter Ice Maker and Water Dispenser with Filter - 7 lb. 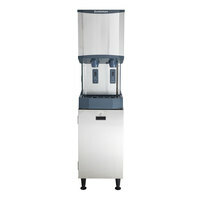 Follett 15CI100A-NW-NF-ST-00 15 Series 14 5/8" Air Cooled Chewblet Countertop Ice Maker and Dispenser - 15 lb. 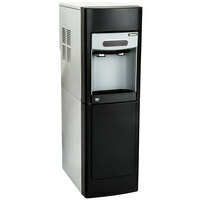 Follett 15CI100A-NW-CF-ST-00 15 Series 14 5/8" Air Cooled Chewblet Countertop Ice Maker and Dispenser with Filter - 15 lb.